Arrow bottle opener. 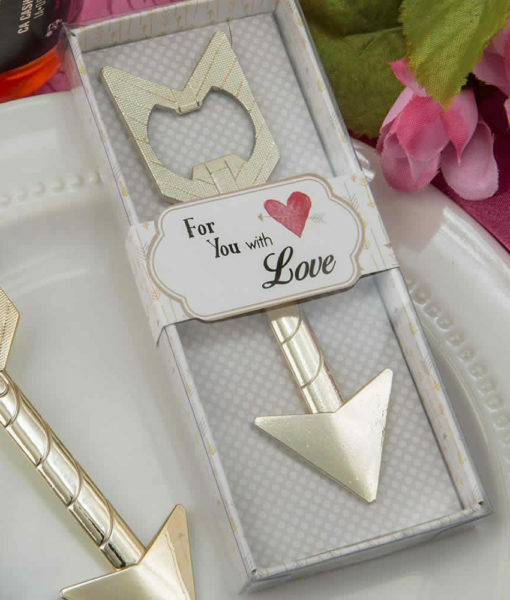 This classy favor has a love theme symbolized by a Cupid’s arrow. 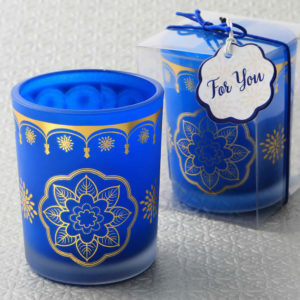 It is crafted from caste metal and finished in a glorious shiny gold metallic finish. The quill has an opening in the middle that is cleverly designed to be a sturdy bottle cap opener. 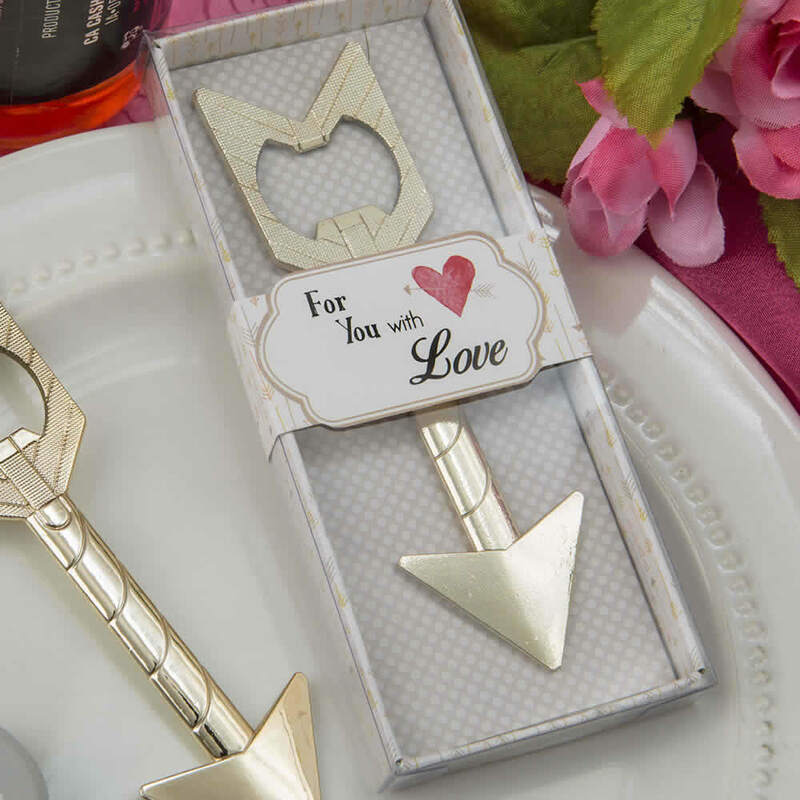 Look no further for a stylish and functional love themed favor for your next event! 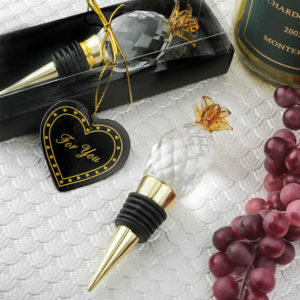 The ultimate classy and functional favor for love themed events!